Happy Happy Friday Y'All!! I'm so excited for this weekend! It's Mother's Day and I am so blessed to have so many amazing women in my life who represent what a Mom is. Giving birth to someone doesn't mean you automatically earn the title of Mother. Teaching someone, caring for someone, supporting them, encouraging them, yelling at them when they need to hear the truth, building them up and giving unconditional unbreakable love is what makes a mother...in my eyes. Lucky for me there are several women in my life that fit that definition plus do so much more. I've been so blessed to be surrounded by women who inspire me and teach me and show me what a real Mother is. Someone who kisses boo boos and holds hands walking into the first day of elementary and cheers the loudest at basketball games and gets there first to choir concerts to score the best seats and works numerous jobs but still makes it to every t ball game and loves their kids no matter what. I mean no matter what! I am just so lucky. So to celebrate all the amazing moms out there, I'm sharing a quick and easy breakfast even the most cooking-challenged dad/son/daughter/boyfriend/significant other can make to serve that deserving mom breakfast in bed. I call it an Open-Faced Fruit Pie! Preheat the oven to 450 degrees. 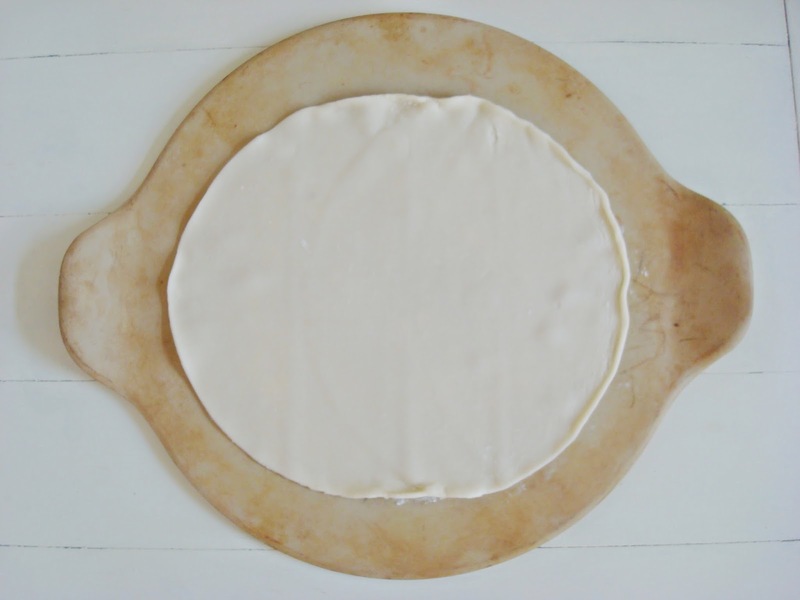 Lay out your pie crust on a floured surface, then transfer it to a baking stone. Place the fruit in the middle of the pie crust, leaving about 1 1/2 inches on the sides. Combine the flour, sugar, cinnamon, nutmeg and salt in a small bowl. Mix in the cut up butter and sprinkle it over the fruit. Pour the vanilla over that. 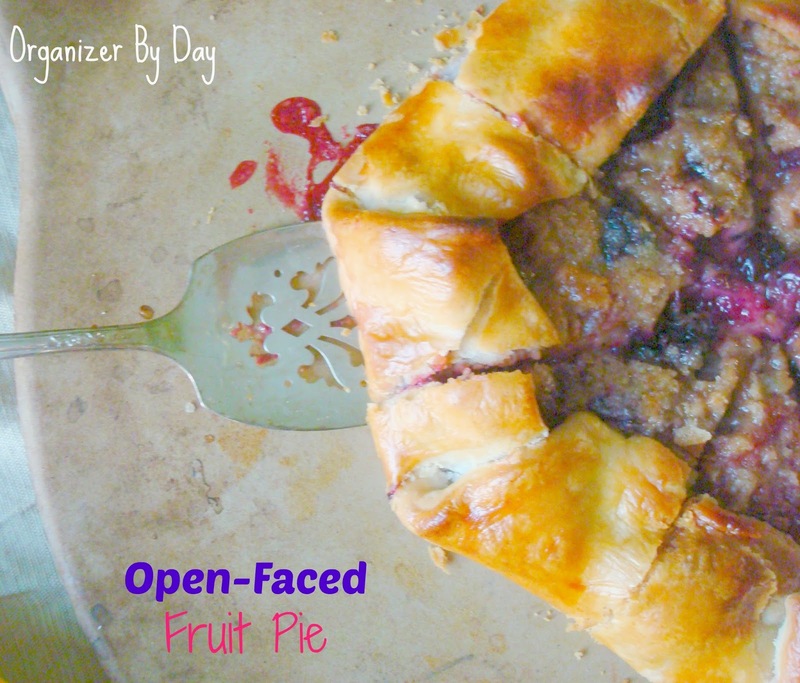 Fold up the sides of the pie crust over the fruit and pinch the sides together to keep the fruit from spilling out. 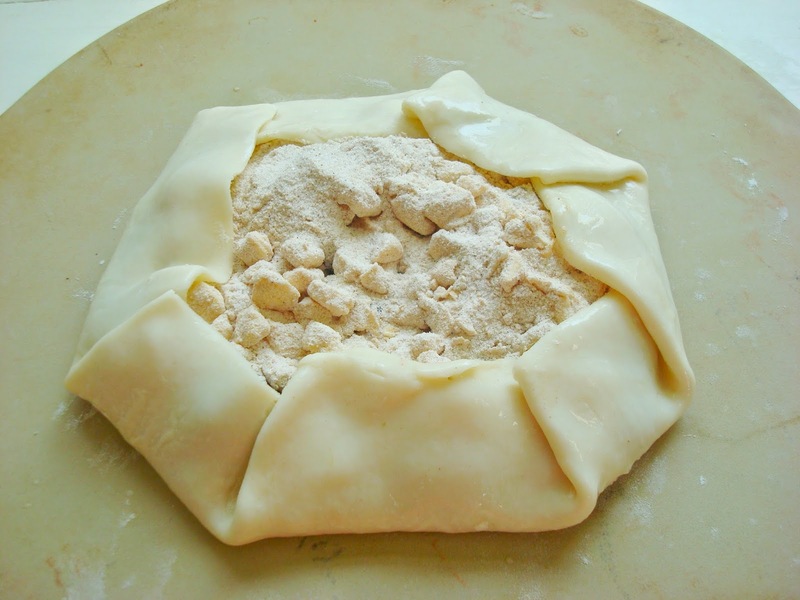 Combine the egg white and water and brush over the pie crust. Bake for about 20 minutes or until golden brown. Let it cool another five minutes on the stone before serving. Cut it up, and bring it to the beautiful deserving mom for breakfast in bed!! Enjoy! So what are you doing for your Mom this weekend? Is she a breakfast in bed kind of lady or a brunch and mimosa's gal? Either way, I hope all the mom's out there have an amazing weekend! Hi Raquel! 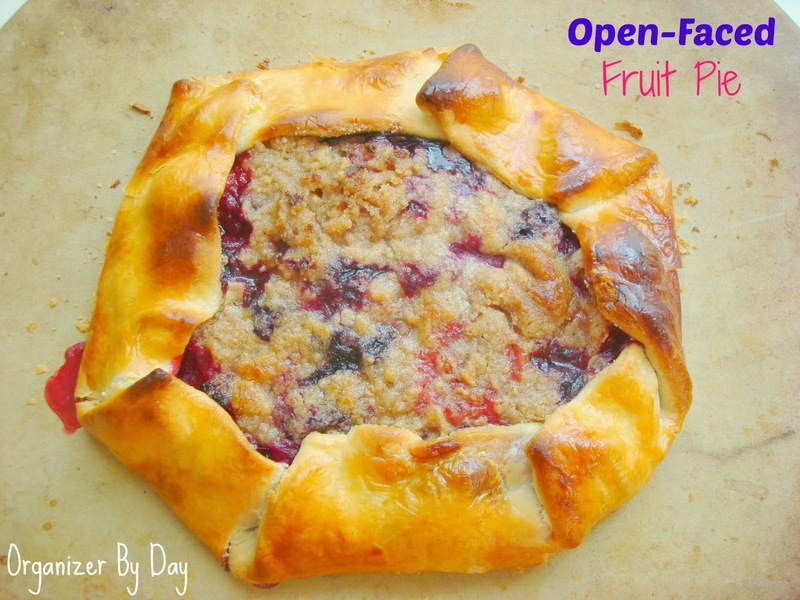 What a great take on a fruit pie! I also love your thoughts on motherhood. Thank you so much for sharing at Best of the Weekend and pinning. Have a happy and wonderful Mother's Day and a great week! Enjoy your day! wow! Looks pretty and yummy! I'll have to try this one! oh my can I have a few of these? looks so delish!! so fruity! so crusty!! Yum! This pie looks sooo good. pinned. found at titus 2 tues linky. Have a great week. This looks so good. I need to try it for sure. I hopped over from Hump Day Happenings. Mmmm, this looks good! Berry desserts are my weakness! Mmm this sounds so good! 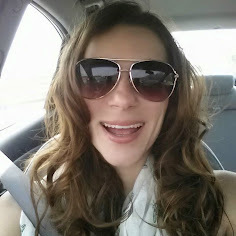 Thanks for linking up with Hump Day Happenings. Oh yum! I love this twist on a traditional pie! Thank you for sharing the recipe and your thoughts on motherhood (I couldn't agree more)! Thank you so much for sharing your creativity at our Show-Licious Craft & Recipe Party! Join us again on Saturday to show off your latest projects! Oh my! This looks absolutely delicious! And I love that it is all wrapped up like that - rather than me having to work on creating the perfect crust! Sounds and looks delicious. I agree with you that just giving birth to a child does not make you a Mother. Thanks for sharing. Visiting from 4 Seasons Blog Hop. This sure looks like a delicious Fruit Pie. Thanks so much for sharing this awesome recipe with Full Plate Thursday. Hope you are having a great weekend and come back to see us real soon! This looks soooo good!!! Thanks so much for sharing! Quick, easy, and delicious. Now THAT's my kind of homemade dessert!! Thanks for sharing via Family Fun Friday. That looks SO yummy! I see a blackberry pie in my future - as soon as they are ripe - using your recipe. 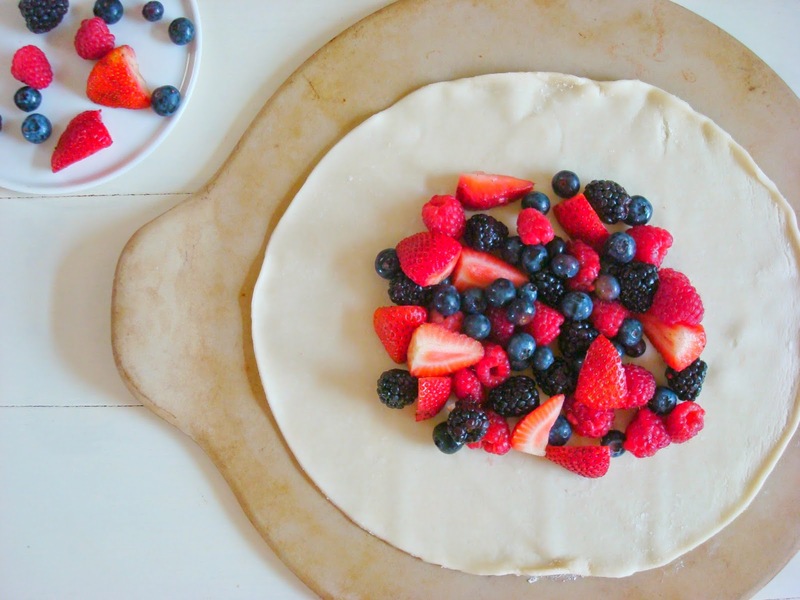 How interesting to make a pie without a pan, but it sure is pretty. 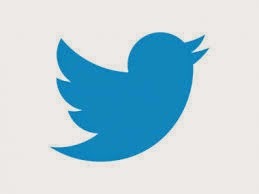 I'm pinning so I can find it again! Thank you for sharing this at the HomeAcre Hop; I hope you'll share with us again this Thursday. Congratulations! 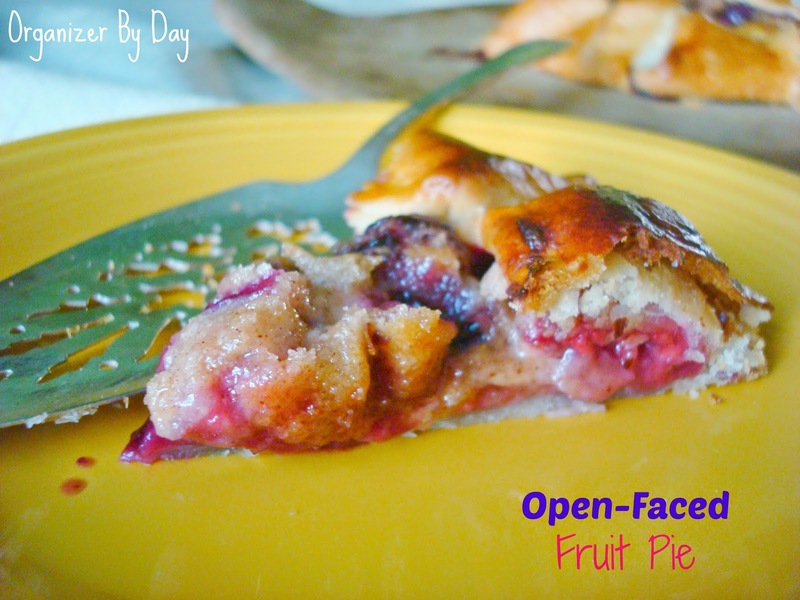 I've featured your delicious-looking fruit pie at this week's HomeAcre Hop! Stop by and pick up our "Featured" button.